It's been one of those weeks - well, several of those weeks. First, ladyjane1 was kidnapped by her evil twin-sister, Lady GaGa. Then, in short order, the team renovated the clubhouse, cleaned up after the mother-of-all reno parties, solved the mystery of the fabulous noir radio show, dashed to Boston for a Colonial Tea, and flew off in all directions to rescue ladyjane1 with the help of Simone and that week's HubNuggets nominees. Just another busy few weeks in the life of the HubNuggets Team. Then, after an all-expenses-paid flight to Bermuda, courtesy of a temporarily-redirected Lady GaGa, the team held a marvelous potluck bake sale to raise money for our favorite charities. So far, so good. Another exciting adventure for the HubNuggets Team - problems solved; HubNuggets delivered; all's well that ends well. Yet here we are over the Bermuda Triangle, radio dead, navigation off-line, our plane plummeting out of control towards raging seas worthy of George Clooney's movie "A Perfect Storm!" Maddie Ruud pushed open the cockpit door, bracing herself against the wild pitching of the plane. Behind her, Simone Smith and Jason Menayan fought to keep their little craft level, while the needles on every gauge on the console spun wildly. Jagged lightning bolts flared in the billowing darkness beyond the windscreen. "How's the repair coming?" Maddie asked quietly. Patty Inglish, MS closed up the back of the radio. "Let's see." She tapped the "Send" key, and was rewarded with a burst of static. "Is it working?" asked Maddie, unable to completely disguise the slight tremor in her voice. "Not properly, but I might be able to get someone's attention by sending an S.O.S. using static," replied the intrepid adventurer. "That is, if there's anyone out there to hear us," she added. The plane gave another lurch. Maddie shivered. "I'll go see if the kitties have finished with our first batch of HubNuggets." Summoning her best attempt at a cheery smile, she headed for the passenger cabin. 1% Fantasy Football – Why it’s good for the sport and good for the fans! 6% What's In A Horse's Name? 10% Why Do Bears Attack? 72 people have voted in this poll. "The first documented encounter in the Bermuda Triangle was by Christopher Columbus who encountered mysterious lights and compass malfunctions on his first voyage through the area." Fantasy Football – Why it’s good for the sport and good for the fans! What's In A Horse's Name? This article discusses appropriate shoewear based on foot mechanics and anatomy and the probable overuse of motion control shoes. Faces pressed against the windows, Enelle Lamb and RedElf stared into the darkness, HubNuggets hubs scattered, unnoticed, across the seat. "Did you see those planes?" asked Enelle. "Five of them," RedElf said. 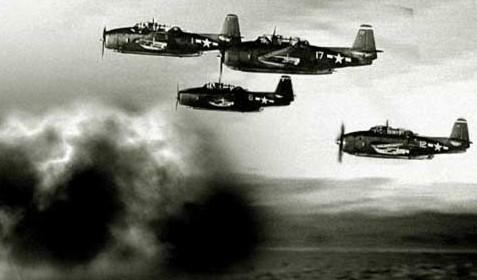 "Old Naval bombers - 1945 Avengers. 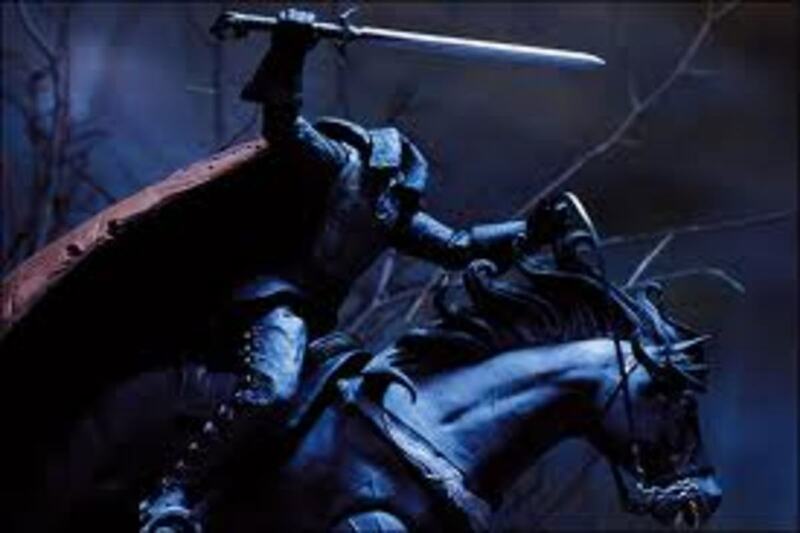 They passed so close I could see the names stenciled on their helmets." Maddie and the kitties stared at the radio, eyes wide. Patty glanced at the frightened trio, then cleared her throat and resolutely began sending her Morse Code static distress signal again. "I'd better check on ladyjane1 and KoffeeKlatch Gals," said Maddie. "They're in the back galley, making nice hot cocoa for everyone. I'll take these for them to read and vote on." she said, gathering up the nominees' hubs. 28 people have voted in this poll. "The name “The Bermuda Triangle” was placed in the cultural lexicon by a May 1964 Argosy magazine article by Vincent Gaddis." Use these tips and tricks for flawless skin, beautiful makeup, and an overall self confidence booster! A concise review of Parissa Body Sugar based on the author's use of the Parissa kit. The ghost ship "Mary Celeste"
ladyjane1 and KoffeeKlatch Gals weren't in the aft galley. Maddie found them in the baggage hold with ripplemaker, tying together huge, netted bundles of recycled plastic bottles. "Just in time, Maddie," said ripplemaker. "You can help us make sure all the bottles are tightly capped." "I'm so glad we offered to take all these bottles back to the recycling plant in Florida," said ladyjane1. "Gal suggested we deploy them under the wings as flotation devices if we have to ditch in the water." "Great idea, Gal," said Maddie. "I'll just pop the HubNuggets nominees into a bottle for safekeeping." "Do we have time to read and vote first?" asked Gal. ripplemaker let out a squeak as the plane gave another violent lurch, then steadied herself, pointing a shaking finger at the window. "What is that?" she quavered. 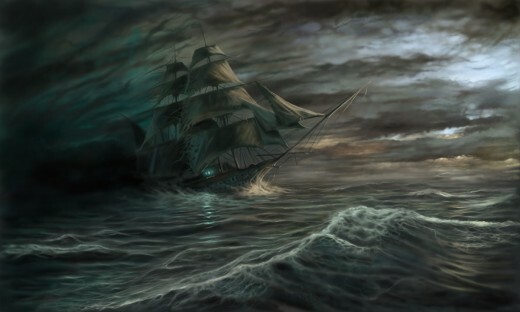 Tossing on the mountainous seas far below, barely visible in the flaring, intermittent lightning, the team could just make out the twin masts of a nineteenth century brigantine. A jolting shudder sent the plane lurching across the lightning-filled skies, throwing the team to the floor. Motors racing as Jason and Simone fought to restore control, the plane's nose lifted briefly, then plunged towards the raging waters. Which one of this week's Home nominees is your favorite? 44 people have voted in this poll. 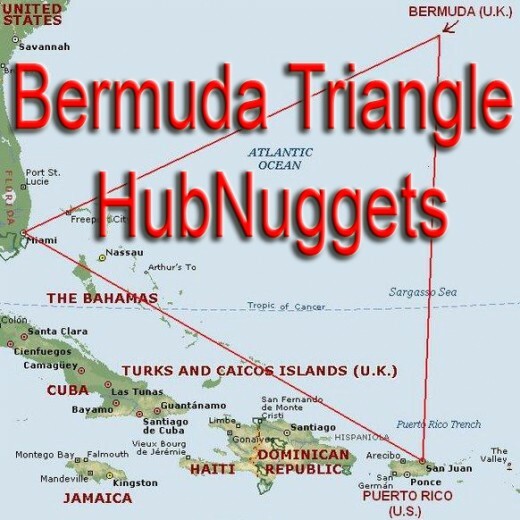 "Neither the Coast Guard nor the Navy officially recognizes any geographically defined area called the Bermuda Triangle; however, it does have an official statement on the topic providing a brief history and likely explanations." Another mystery for the Triangle? The morning dawned clear and bright over a tranquil sea, as the Coast Guard Patrol responding to Patty's distress signal hove to beside a strange craft - a little plane, bobbing serenely on the gentle waves, resting on huge net bags full of thousands of empty plastic bottles. The HubNuggets team hailed the rescue party from their perches atop the floating plane. "Join us for breakfast - we have fresh cocoa and blueberry muffins," ripplemaker called out as the rescue craft came alongside. "We're glad you're all safe," the Captain said, adding with a grin, "I guess it really pays to recycle." "True," said Maddie, gazing at the thousands of empties. "I just wish I'd remembered to mark the bottle I put the HubNuggets hubs in for safekeeping." Hey, thanks for stopping by and commenting, Eddy! Very interesting indeed and thanks for sharing. Thanks so much, Miss Paula - glad you enjoyed the hub - it's always great fun to do a round-up supporting our newer writers! This was a cool hub funny, voted this up + funny. 7 years ago from Whereever there's wolves!! And Bikers!! Cummon Flash, We need an adventure! Hi, carlness. Glad you enjoyed the hub! Best of luck to you! Remember to get out there and promote your hub. Great hub! Thanks for the help and the vote. I voted this up + useful. Candie V - Welcome back!! 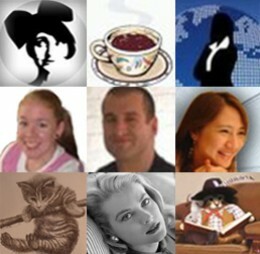 So nice to see you on HubPages again, and especially that you came to support our new writers. Great to see you here, AEvans. So glad you're supporting our new writers! Voted! Been away for a while.. but I'm back! Wow...what a flight!I will definitely always vote for new HubNugget writers..I was one myself long time ago. The train - what a great idea for our next adventure! Thanks, Enelle, and thanks for reading and voting to support our new writers. Thanks so much for stopping by to help support our new writers, Flora. Mrs. M., thanks so much for stopping by - glad you enjoyed the story. Ooooo, I love your story Redelf! I have Read and voted. Thanks, Gal - I guess it pays to be thirsty, too - I am so happy to be working with such a multi-talented, and well-sourced team. Such resourceful people! RedElf, who says that you only find junk at a garage sale? Thank goodness Patty went garage saling that day. Simone and Jason certainly have some interesting talents - imagine- flying a plane. All I can say about all those wonderful plastic bottles is - it's a good thing we recycle - and we must be a really thirsy bunch. Thanks so much, VENZKHVAM. So glad you enjoyed the article. Hope you enjoyed sampling the new writers' works as well. Thanks for your vote - and that would be a great topic to write on. Thanks! 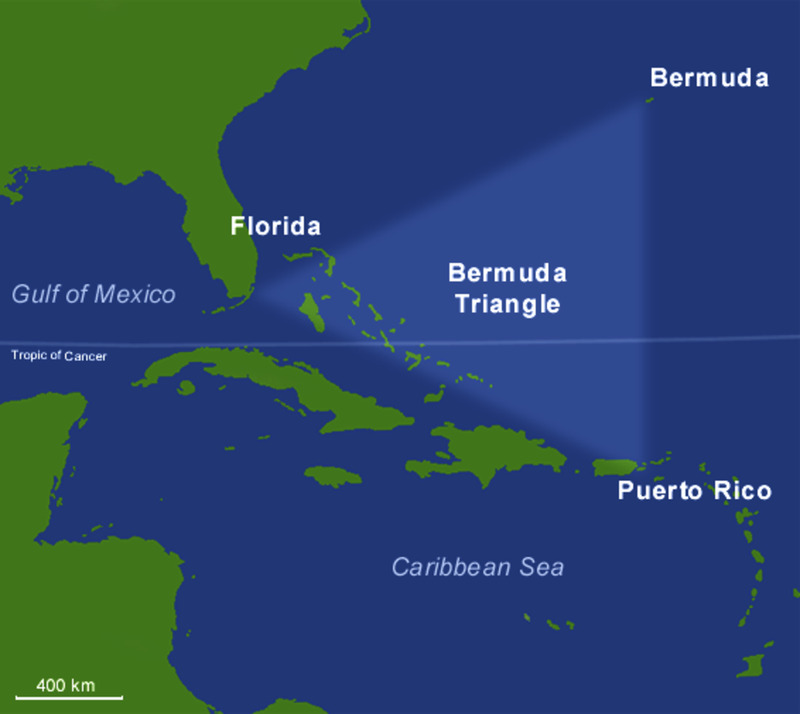 I EAGERLY CAME TO READ THE REAL BERMUDA TRIANGLE . BUT HERE A FUNNY SIDE IS ADDED INTO IT.THIS IS REALLY FUNNY .VERY GOOD TO SIT RELAX AND ENJOY. BUT I WOULD APPRECIATE YOU IF YOU CAN INCLUDE THE REAL CONTENTS AND PUBLISH A REAL BERMUDA TRIANGLE. Simone, that was some pretty fancy flying! Our thanks to you and Jason for landing us safely on our recycle bottle bundles! The cocoa and muffins were great, too! Flora, maybe we could set up a recycle depot in the triangle for future disappearances? Then again, maybe our recyclables would just disappear? That would be cool, too. Now if only everyone who was lost in the triangle knew how you escaped. Man, I'm glad I found that Morse Code DVD a while back and learned some of it! This was quite an adventure. Thanks for the cocoa! Hooooo what a flight! I would have lost it were it not for the cocoa and blueberry muffins we got at the end. You've got to hand it to the HubNuggets team for reading through the nominees despite what seemed at times to be most certain doom! The nominees really are great this week, though- I hope everyone enjoys having a look at them, and I'm quite curious to see who will come out on top!